This ‘What is gluten free' article will inform you about gluten and gluten-free foods. You will learn what gluten is and some of the symptoms that gluten can cause in individuals. You will discover the healthiest gluten-free foods to build your daily diet around. You will get a list of resources and a summary if you do not have time to read the entire article. Reading Time: 7 – 9 minutes. What is Gluten Free and why you should know – The above breads and foods are not gluten free, sorry! You might have heard the term gluten-free. Before you find out what is gluten free, you have to know what gluten is and why it matters to you. Gluten, meaning “glue” in Latin, is the collective term for a group of proteins found primarily in wheat, rye, barley and spelt. Gluten gives baked goods their doughy consistency. If you have ever baked bread, you know you are using a gluten-containing grain when the dough becomes elastic. Gluten is also used as a thickening agent or flavour enhancer. There are people whose bodies cannot properly digest gluten. Every time they consume gluten, their immune system views the gluten as an enemy and triggers an attack on the intestines. The long-term damage is that your intestinal villi become damaged from constant attacks by your immune system and your body is unable to properly absorb nutrients into your bloodstream. This can lead to malnourishment or more serious chronic conditions. What are the signs of Gluten Sensitivity? Similar symptoms may be experienced by people who either have celiac disease or gluten sensitivity. Celiac disease is an autoimmune disorder where your own body manufactures gluten antibodies and then attacks your intestines when gluten is eaten. A blood test can reveal autoantibodies to gluten and a biopsy will reveal if you have suffered intestinal damage. Approximately 1% of the population or over 3 million people are believed to have celiac disease. People with gluten sensitivity do not manufacture gluten antibodies, nor do they suffer intestinal damage, yet their symptoms are similar to those who do have celiac disease. There is no biomarker as of yet for gluten sensitivity and the number of people who are gluten sensitive is unknown. However, if you experience depression, abdominal bloating, chronic fatigue and the other symptoms mentioned above, then you would be wise to test if removing gluten from your diet will help to alleviate your symptoms. This is why you should be aware of gluten and the symptoms of gluten sensitivity, especially since treating the symptoms is very straight forward, just stop eating products with gluten! The Hashi Mashi Diet is gluten-free and focuses more on what you eat rather than what you should not eat. The Hashi Mashi Diet is primarily based on nutrient-dense gluten-free foods, specifically vegetables and especially cruciferous vegetables like broccoli, Brussel sprouts, cabbage and cauliflower which are effective for both men and women to balance their hormones. The Hashi Mashi Diet uses fruits, especially low glycemic fruits like blueberries and raspberries for their powerhouse antioxidant strength as tasty desserts and snacks along with nuts and seeds for healthy fats. The Hashi Mashi Diet includes both plant-based proteins such as nuts and seeds as well as lean meats, poultry and fish. The Hashi Mashi Diet can include on occasion gluten-free whole grains as well as legumes such as lentils and dairy like yogurt if tolerated, however, keeping your focus on eating vegetables and low glycemic index real food is at the heart of the Hashi Mashi Diet. Whether you are following the framework of the Hashi Mashi Diet or not, the key to remember for being gluten-free is to focus your meals on whole, real vegetables, fats and proteins and exclude gluten-containing grains like wheat, spelt and rye. You also need to exclude many processed foods since as mentioned before, gluten is frequently used as a thickening agent or for flavour. For a Gluten Free Meal Plan Subscription Click Here. Gluten is a group of proteins which is found in grains, specifically wheat, rye and spelt. 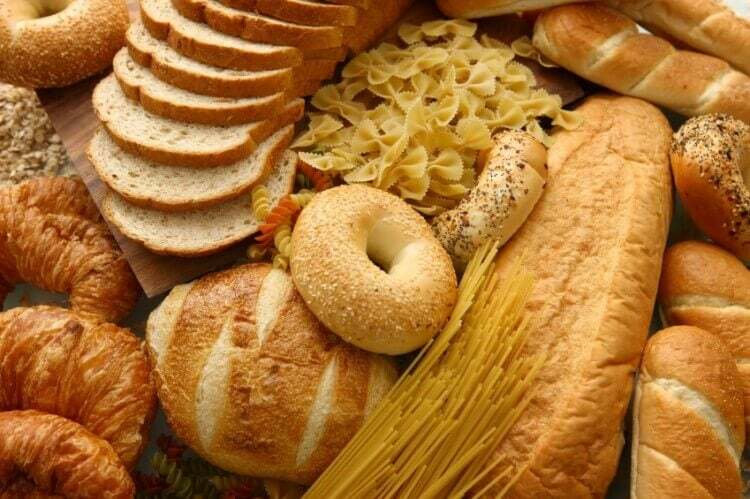 Gluten can cause symptoms within individuals such as depression, ADHD, constipation, diarrhea and abdominal bloating. Some people are gluten sensitive and others are afflicted with Celiac, a serious autoimmune disorder. If you feel that you might be gluten sensitive or celiac, you should remove gluten from your diet and contact your doctor for further testing. Knowing what is gluten free can help you lead a richer, healthier and more productive life! Oatmeal with banana, blueberries, peanut butter and drizzle of honey – best after a workout!